A curved screen reaches into the viewer’s peripheral vision creating the illusion that they are being drawn into the picture. 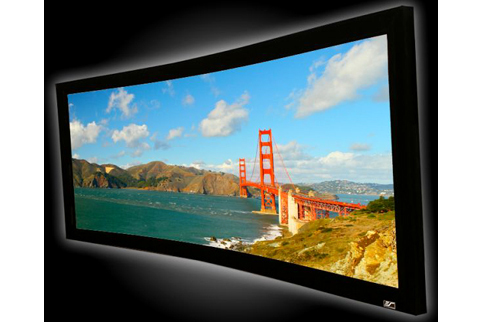 This perceived reality is further reinforced by a curved screen’s ability to cover the center AND the right & left channel speakers. This is important because it joins the image with the sound from the three forward points of sound origin (Right, Center, & Left Channels) creating a sound stage effect that results in a more realistic association between sound and the picture. We have no downloads available for the Elite Lunette Series Fixed Curve Frame at this time.